Pictured in our latest iteration of the AquaNerd Picture of the Week is one of the most stunning tangs you’ll ever lay eyes on, the Chevron tang (Ctenochaetus hawaiiensis). 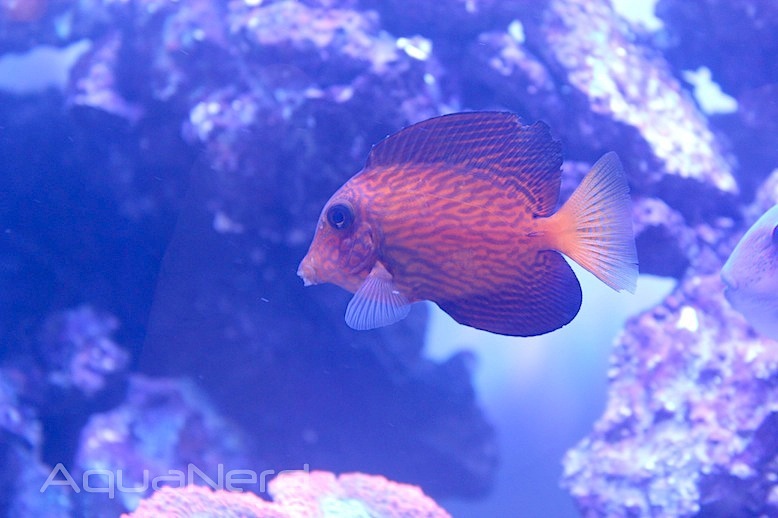 This Hawaiian native sports a very vibrant coloration as a juvenile, but those bright oranges and blues give way to a much more subdued look as the fish matures. The fish in the image above still maintains much of its juvenile color, but it has clearly lost some of that. Another thing that you might notice is that this particular individual does show some signs of tang on tang aggression. A couple of the fins are torn from these interactions, and you can see noticeable chucks missing out of the dorsal and caudal fins specifically. The fins will quickly heal once the territorial nipping stops.